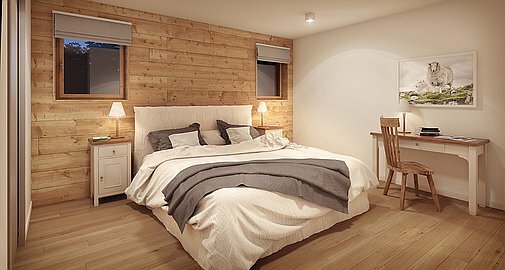 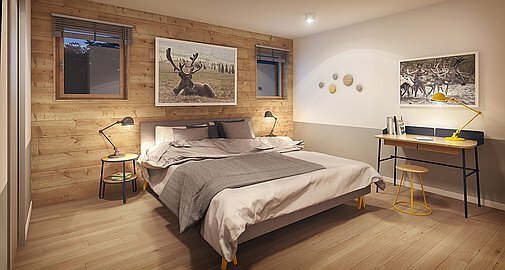 Le Grand Cerf, is a newly launched ski in and out residence, offering a haven of tranquility for sports lovers and those seeking to enjoy the very best the Alps has to offer. 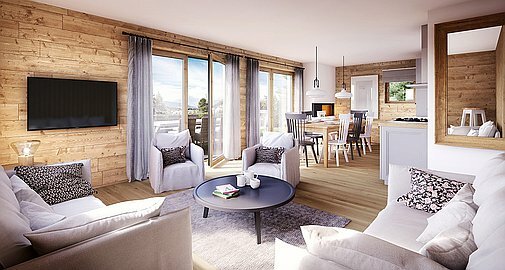 The development consists of 6 beautiful chalet-style buildings, all finished to a very high standard and offering one to four bedrooms, ranging in size from 47m2 to 131m2. 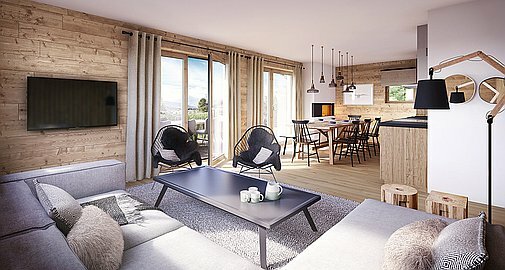 All apartments will benefit from a terrace/balcony and fireplace and some will also have a jacuzzi on their terrace, and/or a sauna too. 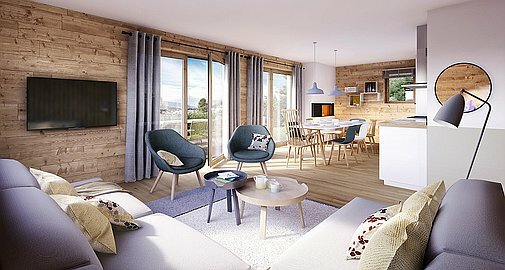 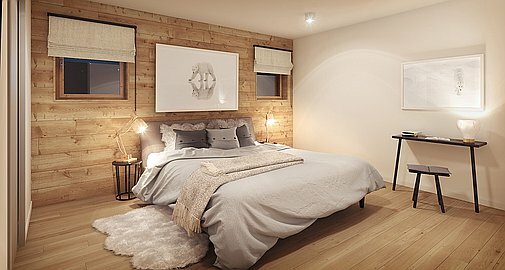 Owners will be able to choose from 4 types of finishes, Classic, Modern, Nordic and Mountain and apartments will be delivered fully furnished and equipped, allowing you to move in immediately once they are completed. 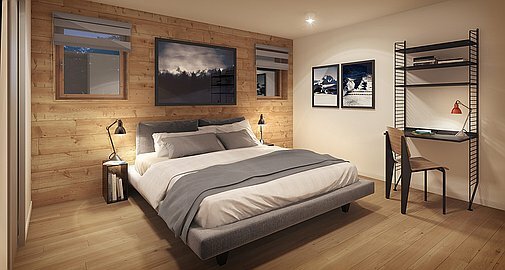 In addition each apartment comes with a ski locker, cave/storage room and parking. 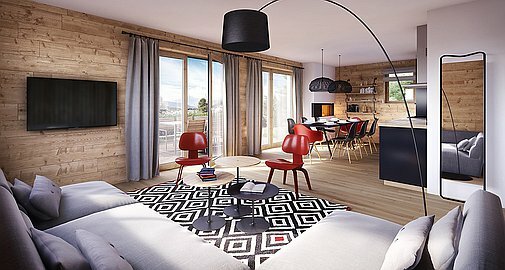 Due to its stunning setting, ideal ski in and out location, as well as ease of access to the main centre of the village,just 600m away, rental demand will be strong, for those wishing to rent out their properties ( which is not an obligation ) and reclaim the VAT at 20%. 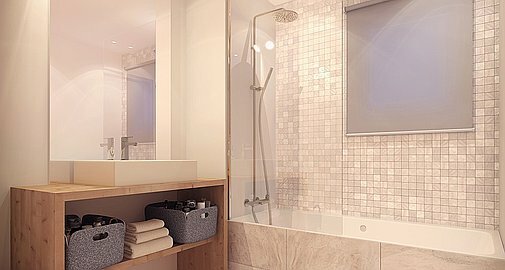 All apartment will be delivered in Quarter 3 of 2018. 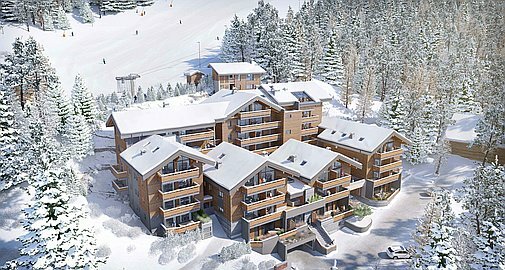 For further details or to arrange a viewing please contact us.